In 2017 it has been 500 years since Martin Luther nailed his 95 theses to the door of the Castle Church in Wittenberg. Although there is no historical proof of this happening, it was an event that changed the world. 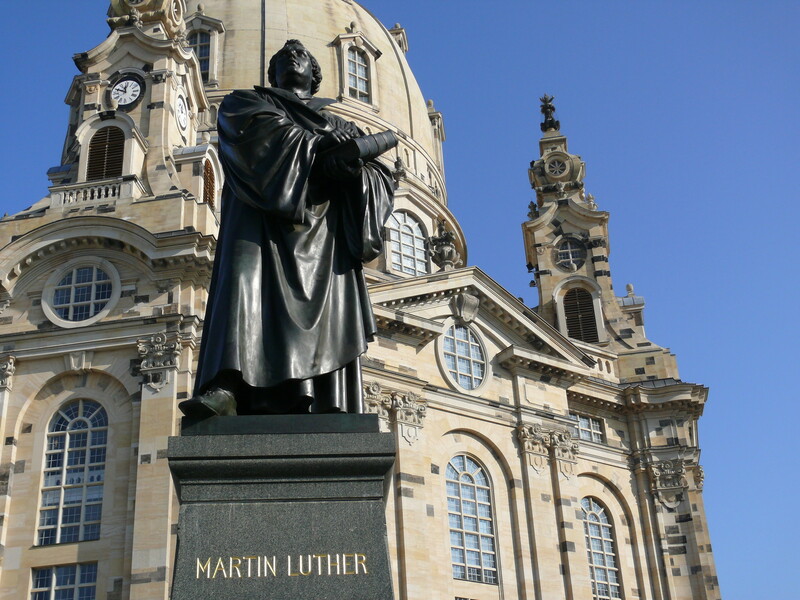 Martin Luther was born into a time of tension and conflict, now recognized as the transitional period between the Middle Ages and the Modern Ages. As an Augustinian monk he rebelled against Papal indulgences and though it was not his intention, his actions started a chain reaction through all of Europe. 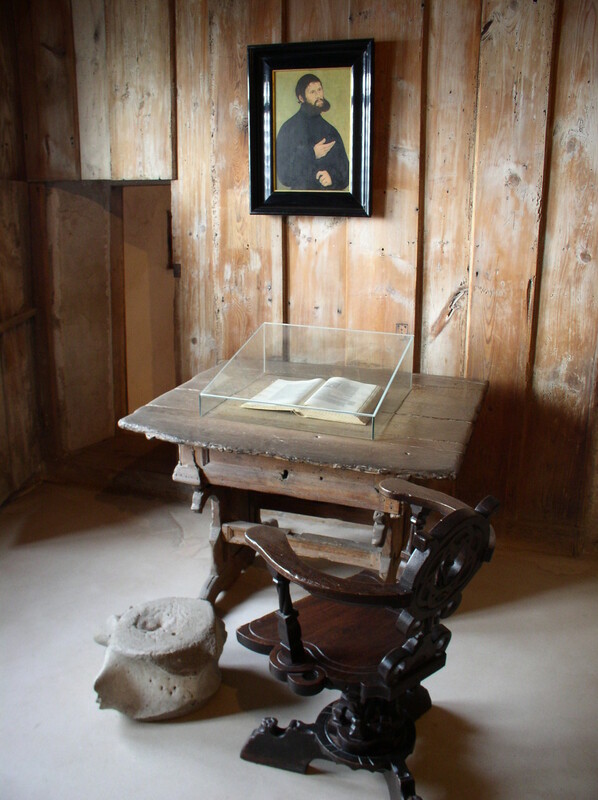 Luther's influence went beyond the religious sphere, for example, his translation of the Bible contributed greatly to a uniform written German language, also because of the invention of printing. Following the great reformers live in Germany means visiting cities and villages, which have beyond Martin Luther, a great history and culture to offer. Born in 1483 in Eisleben and growing up in Magdeburg, Luther has left many traces in Germany, of which the cities Eisleben, Erfurt, Wittenberg and Eisenach are the most important ones. 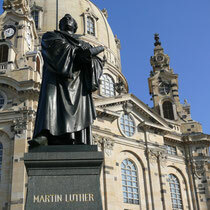 Some of these cities carry the official name Lutherstadt, which signifies the importance of his influence. Lutherstadt Eisleben – Luther’s birth town is located in the Harz Mountains, has been a copper slate mining center since the middle age, and was once the biggest city between Harz and the river Elbe. Today, the city has a well-preserved old town with many sights, of which the most important ones are the birth house of Martin Luther and his baptism church St. Anna. Erfurt – here he began in 1501 to study law, before he turned to become an Augustine friar in 1505 and studied further on Theology. The city still has many medieval and traditional buildings; the most important one is the gothic dome St. Marien. 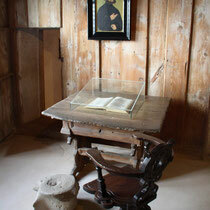 There are many other highlights in the city, including the Augustinian Monastery with Luther’s cell. Lutherstadt Wittenberg – Luther lived and worked most of his lifetime in Wittenberg from 1512 and was professor at the University. Here, he developed his 95 thesis, nailed at the door of the castle church of Wittenberg in October 1517. Today, the city is UNESCO world heritage and hosts Luther’s house in the former Augustinian Monastery and many other places of interest. Every year, thousands of visitors witness the historic moment of 13th of June 1525 – the date on which Martin Luther, the former monk, and Katharina von Bora, an escaped nun, got married in Wittenberg. Since more than 20 years, the city reminds of Luther’s Wedding with an annual festival and parades at this date with visitors from all over the world. 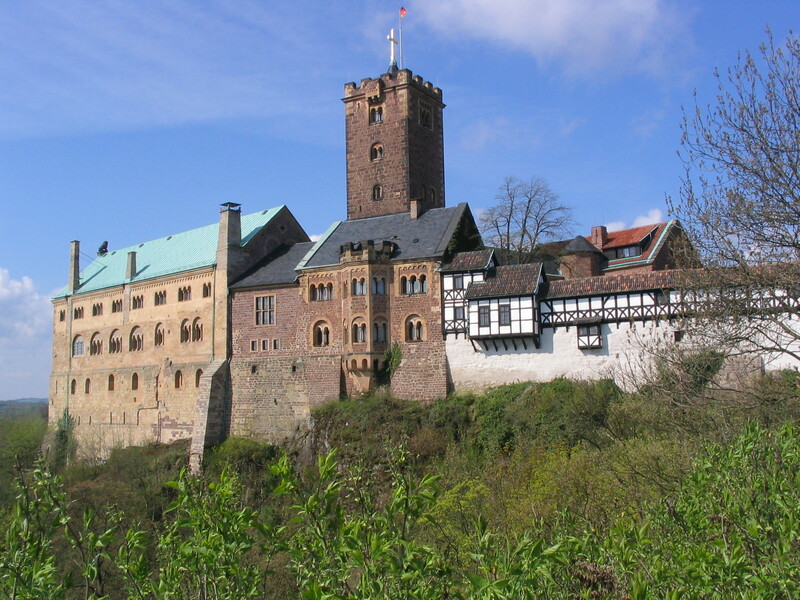 Eisenach and Wartburg – in 1521 Luther had to escape from the papal ban released in the Edict of Worms, and found refuge in the Wartburg, where he translated the bible into German. 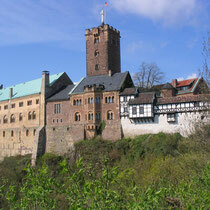 Today, the Wartburg from the 12th century is UNESCO cultural world heritage and a German monument as well. 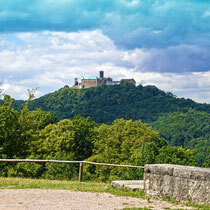 It testifies impressively medieval and romantic architecture and life culture of this time. Eisenach is also the native town of Sebastian Bach and has the world’s largest Bach museum with authentic living rooms and an existing exhibition about the famous composer. 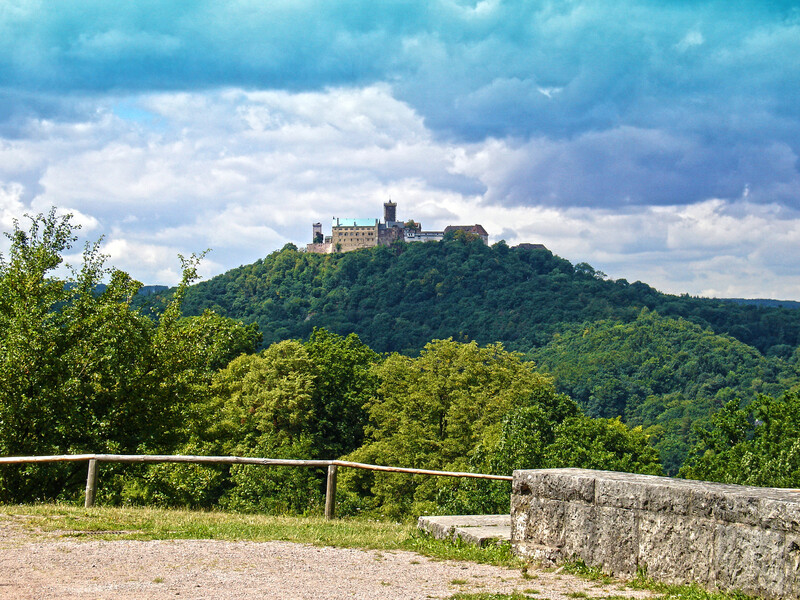 In Eisenach cars have been built for over 100 years from 1899, when the first Wartburg rolled off line, which is witnessed by an exhibition with historic vehicles, studies and prototypes.